"We are able to safely care for patients and appreciate the work our team is doing to make accommodations," the hospital said Sunday. A water main break in Boston forced Tufts Medical Center to close to ambulance traffic for a time Sunday morning. According to the hospital, the water main break on Harvard Street near the Medical Center has affected water pressure and access to water in some areas of the campus. They are using alternate methods to address sanitation and plumbing and assessing any additional impacts on hospital operations. The hospital was forced to close to ambulance traffic for a period of time Sunday morning, but has since reopened to traffic. 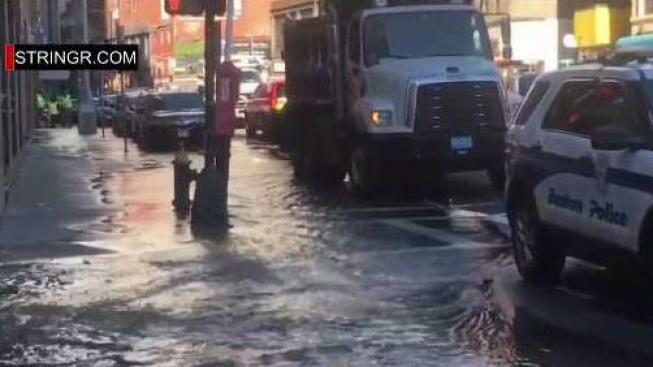 According to the Boston Fire Department, companies responded to a water leak Shea Road in Boston just after 8 a.m. Sunday. Companies were forced to evacuate office and classroom space at 35 Kneeland Street for water in the basements. The water was shut off by officials who are working to fix the problem. The cause of the leak remains under investigation. Officials remain at the scene at this time.